BIG HERO 6 is an animated super-hero origins story wherein a genius teenage boy called Hiro uses his late brother's sumo-shaped gentle robot Baymax to catch an evil scientist. In doing so, Hiro teams up with his brother's friends, giving them superhero costumes and harnessing their scientific achievements, rather than relying on mutations or alien powers. The movie is clearly in love with its own heritage - there are friendly nods to E.T. and anime, not to mention a nostalgic reference to those quirky VHS-vanquished video players of the early 1980s. But it's far more in love with the concept of love - what it really means to grieve, forgive and move on. BIG HERO 6 won the Academy Award for Best Animated Picture and despite my fondness for THE LEGO MOVIE one can't deny that this is a wonderful film. I loved the audacity of making a children's film that was unafraid of using lots of scientific terms, that made heroes out of academics, and contained powerful and complicated themes of grief, revenge and sacrifice. Added to that, the story is situated in a kind of alternate reality mash-up of San Francisco and Tokyo that's stylish but also feels lived in - the hardest trick of all for animation. It may grate that the story is so clearly the kind of origins story that it so clearly pays homage to, but once again, I can't deny that I can't wait to see what the Big Hero 6 do next. This film is very good and entertaining. I watched it with my mum and 7 year old brother, who really enjoyed it, although he was crying at the end. This film is the story of a boy, Hiro, and a robot, Baymax. It is a touching tale of friendship, and is enjoyable and exciting, but is also very sad; I was crying my eyes out by the end of it. It drew me in emotionally, tapping into my senses, really involving me in the film. I related to all of the characters, since they were all believable, and I would like to have them as friends myself. I would recommend the film to anybody over the age of 8. It is good for people who like science and technology. I think younger children would be overly upset by the storyline. I cried too, but that is not a bad thing, as it shows what a good film it was. In my opinion, one of the hardest bits for younger children is where Hiro’s brother is killed in a fire, and Baymax’s sacrifice at the end. I think the story was well-constructed and well-woven. There were a number of twists which added to the plot. I saw it in 3D. I would recommend seeing it in this format because it is used well, adding to the excitement of the film. For example, when they are being chased by the villain, you almost think he is chasing after you. In summary, this is one of the best films I have seen this year. Do go and see it! This is a wonderful family film. I enjoyed it as much as the boys. The characterisation is wonderful and it is visually stunning. The music was well chosen, adding to the overall effect. It is definitely a boys’ film, full of action and adventure, in the Marvel-style. I was also sobbing in parts, but it just goes to show how good the film was! I do feel that some children might find the film over-stimulating or scary, so perhaps wait for DVD or blu-ray if you have a sensitive child and watch it first. My 7 year old did not understand all of the plot and was left upset by the death of Hiro’s brother, but overall he loved the film. There are a number of interesting sub-themes such as revenge, grace and sacrificial love, which could lead into interesting topics of conversation. 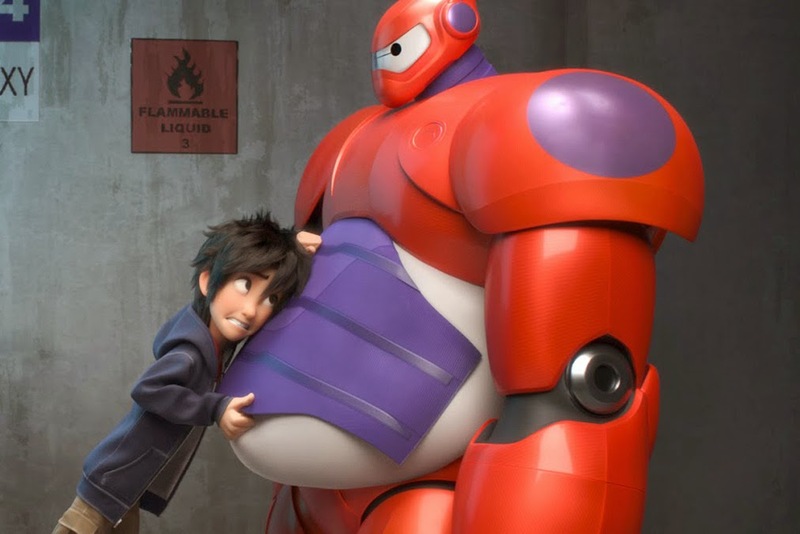 BIG HERO 6 has a running time of 102 minutes and is rated PG. It is on global release.